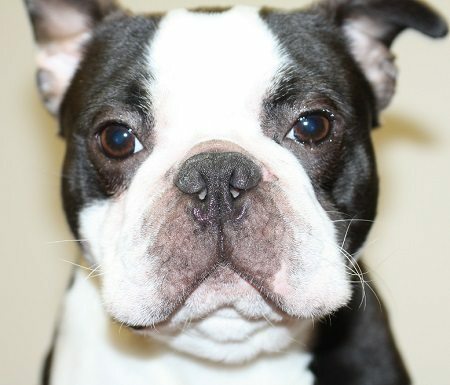 Bruno is a 1 year old male Boston Terrier. Bruno has come to us for re homing as he is no longer required for breeding, he is a solid lad with a really nice nature, he loves everyone and will jump all over you by way of a greeting. He is not used to living in the home so he may well have a few accidents as he settles in and learns all about pet life. He will need new owners who are around for most of the day, he is confident enough to be re homed as an only dog but could also be re homed with other dogs preferably female as he has been recently castrated. Bruno would be fine with older sensible teenagers just because he is so bouncy. He cannot be re homed with cats or small furries at all as he has a high prey drive. He travels well in the car but does get excited, this is because everything is so ver new and exciting for him currently. He does need further training on lead but his foster has started working on this with him. Bruno is quite a noisy chap with his breathing so will be assessed by our vets to see if he needs BOAS (pallet surgery). If this is necessary this will be carried out prior to him being re homed. He is a little chunky at the moment and would benefit from loosing a little weight, this will also help with his snoring. Bruno is a young and bouncy lad who would like an active home that understand the needs of the breed. 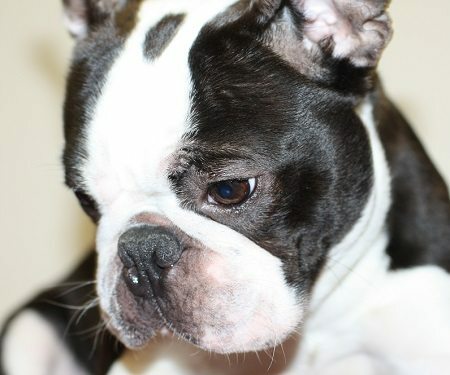 He will be neutered, vaccinated and micro chipped (we will advise on surgery for airways shortly). He is also up to date with flea and worming treatment. 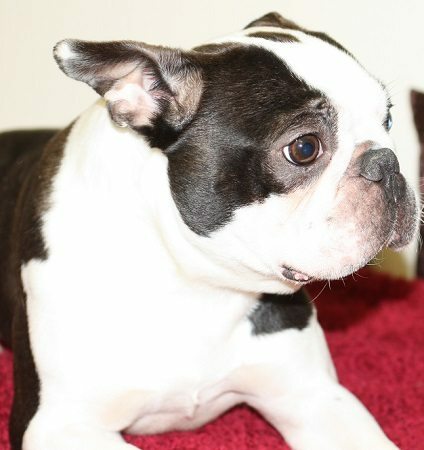 Bruno is currently being fostered in London SE7 Woolwich.